Chocolate Creme Brulee is the ultimate classic French dessert made extra special with added chocolate! 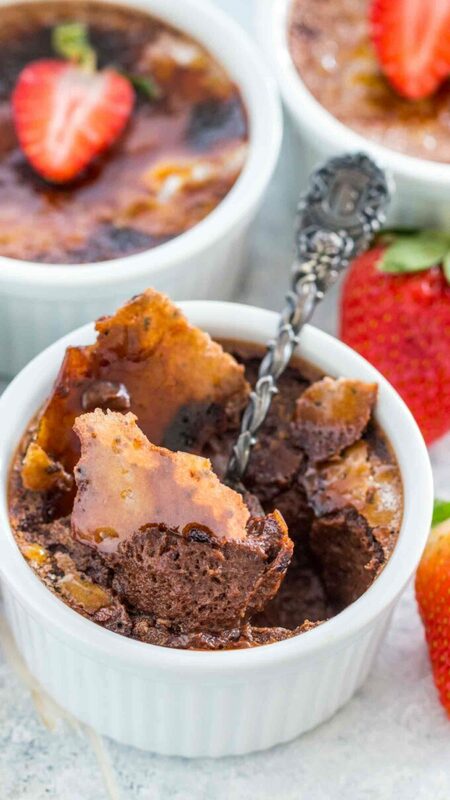 Creamy chocolate baked custard with a crispy, thin layer of caramelized sugar on top. The perfect Valentine’s Day dessert, this creme brulee recipe takes just under one hour to make. On the blog, we try to give you the most amazing selection of homemade Valentine’s Day desserts. Among our favorites, you can find this classic Red Velvet Cake that we made from scratch. The cake is covered in the most luxurious Homemade Cream Cheese Frosting. Chocolate desserts are always a good idea and we highly suggest that you try our Oreo Cheesecake or this No Bake Chocolate Pie. Creme Brulee is one of our favorite desserts. I have always been a huge fan and it was the first dessert I tried once in Paris. If you are interested in how to make Classic Creme Brulee, check this easy recipe. We took this rich and silky smooth dessert to a new level, by adding some chocolate and cacao, for a chocolaty version. The end result is an irresistible sweet treat, that is rich, creamy and very flavorful. Bonus points for being so easy to make, gluten-free and can be made a few days in advance. What do you need to make Chocolate Creme Brulee? As previously mentioned, brulee is a dessert of baked egg custard. Their single-serving size makes them a wonderful choice for a romantic Valentine’s Day dessert. The best way to serve brulee is directly from the ramekins they are baked in. If you don’t have any ramekins on hand, you can use a pie dish, just keep in mind, that you won’t be able to perfectly slice it. You will have to scoop it when serving, but it will be equally delicious. Is chocolate creme brulee meant to be served cold? This dessert should be slightly chilled, however, creme brulee is a unique dessert, with several different textures, temperatures, and tastes, all in one bite. As you eat one, you will experience hot and cold, sweet and slightly bitter, as well as creamy and crunchy. This is truly an amazing dessert! The custard will be cold because it must be chilled before the sugar on top is caramelized. Keep in mind that the crunchy sugar topping is created with the use of a brulee torch, so some of the custard may be slightly warm. As your spoon plunges deeper into the brulee, however, the custard is a bit cooler. 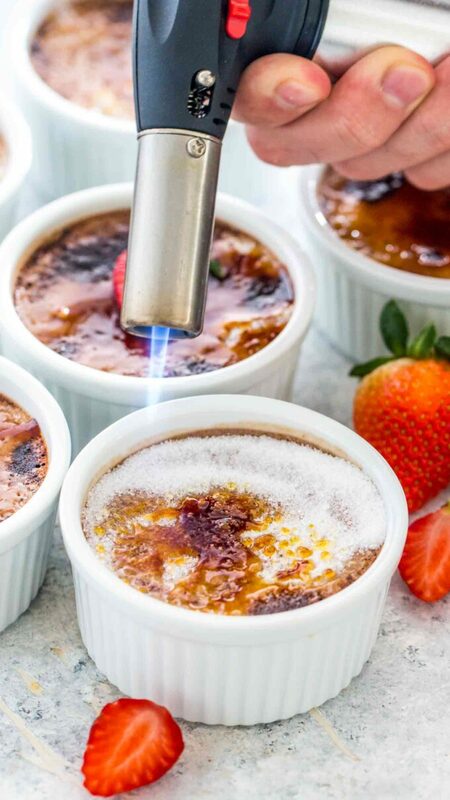 How to make creme brulee without a blowtorch? If you don’t own a brulee torch, there is no need for concern. Simply place the brulee under a broiler to caramelize the sugar. However, watch them closely to prevent the sugar from catching fire. Make sure your ingredients are of room temperature, especially the eggs. If the eggs are too cold, when you add the warm cream mixture, they may curd. Use very fine sugar, especially for the topping. Add on top just enough sugar to cover the top surface. Otherwise, if the sugar layer is too thick, it may not caramelize properly. Also, use very high-quality chocolate and cocoa powder. They are the center flavor of this dessert, and crucial to how it will taste. 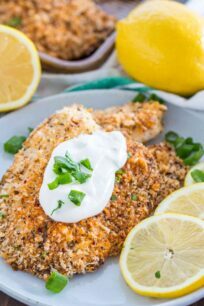 Believe it or not, this recipe can be easily made Keto, which is such an indulgence. Just use Erithritol instead of regular sugar and sugar-free chocolate. Similarly, you can use dark chocolate, semi-sweet chocolate or milk chocolate in this recipe. Worth noting is the fact that you can use white chocolate as well, just skip the cocoa powder and use 8 ounces of chopped white chocolate. HOW TO FREEZE CHOCOLATE CREME BRULEE? First, wrap in foil tightly each individual ramekin. 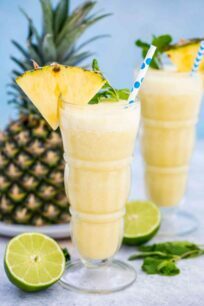 To thaw, remove from freezer, and place in the fridge to thaw, preferably overnight. When ready to serve, sprinkle with fine sugar, and caramelize the top with a blowtorch, or broil for 2-3 minutes before serving. 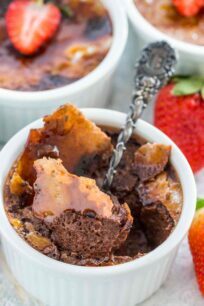 Chocolate Creme Brulee is the ultimate classic French dessert made extra special with added chocolate! 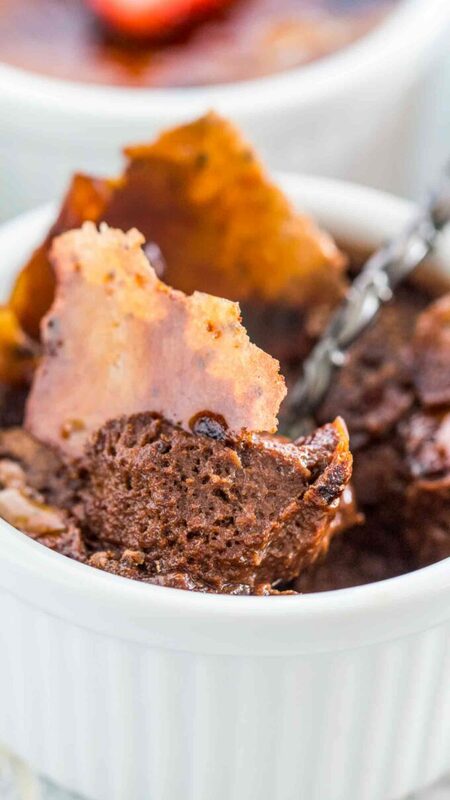 Creamy chocolate baked custard with a crispy, thin layer of caramelized sugar on top. Place 6 (7 to 8-ounce) ramekins into a roasting pan. Add the eggs to a large bowl, add 1/2 cup of sugar, salt and whisk until well mixed. Stop to scrape the sides and bottom of the bowl. Add cocoa powder, and whisk to combine. Scrape the sides and bottom of the bowl and whisk again until fully combined. Set aside. Add chopped chocolate to a medium bowl. Add heavy cream to a medium sauce pan, stir and heat it until hot, and it simmers lightly, do not boil. Remove from heat. Pour the hot cream over the chopped chocolate and let sit for 1 minute. Stir with a spatula until the chocolate is fully melted, the mixture should be combined, smooth and shiny. Stir in vanilla extract. With the mixer on low speed, gradually add the chocolate mixture to the egg mixture, slowly mixing continually. Add the cream little by little, especially at the beginning, otherwise it may cook some parts of the egg mixture. Use a spoon to scoop and discard the foam accumulated on top of the custard mixture. Pour the custard mixture into the prepared ramekins. Once cooked, remove the roasting pan from the oven and let the creme brûlée cool in the pan before transferring to the fridge. Cover the ramekins with plastic wrap and refrigerate for at least 2 hours and up to 3 days. When ready to serve, remove the crème brûlée from the refrigerator, 30 minutes before browning the sugar on top. 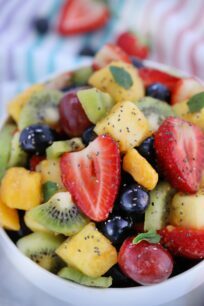 Sprinkle a tablespoon of fine sugar on top of each serving. Using a torch, melt the sugar to form a crispy top. How decadent this is ! I never had it in chocolate only the creme style. This really is brilliant! You have to try it this way, very rich! OMG you were missing out, its so good! This is such an easy and elegant dessert. And the chocolate version would be ideal for Valentine’s Day! We love creamy desserts they are the perfect ending to a delicious meal and they aren’t too heavy. One thing I do want is a torch!! So convenient for caramelizing on top without putting under the broiler. The torch is so much more convenient than the broiler! I love that you use chocolate in your recipe! What a great and delicious idea! I bet this is nice and rich- perfect dessert for Valentine’s Day! It definitely adds more flavor! Okay, WHAT!? How did I not know that chocolate creme brulee was a thing!? You just found me my Valentine’s dessert, YAS! Cannot wait to give this one a try.